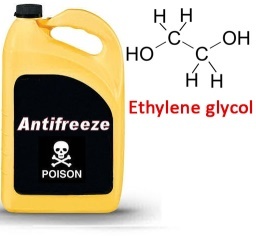 Spent coolant (antifreeze) generated from various service garages, etc., is a regulated waste because of the toxic effects associated with the chemical constituents of the coolant. Therefore, it is essential that businesses as well as private citizens segregate their antifreeze from other waste streams so that it can be managed for recycling purposes. Used coolant is regulated by federal and state laws and must be managed accordingly in order to limit liability to the generator. At RDO we can help you manage your coolant in an environmentally sound manner. RDO can provide its customers with a service contract for hassle free and reliable pickups. Additionally, RDO will collect your used coolant and issue you a certificate of recycling to give you peace of mind. RDO provides reliable spent antifreeze recovery service under a regularly-scheduled or call-in basis, depending on your needs. Protect your business, trust RDO recycling.